The Shiver represents the sensation between delight and anxiety. 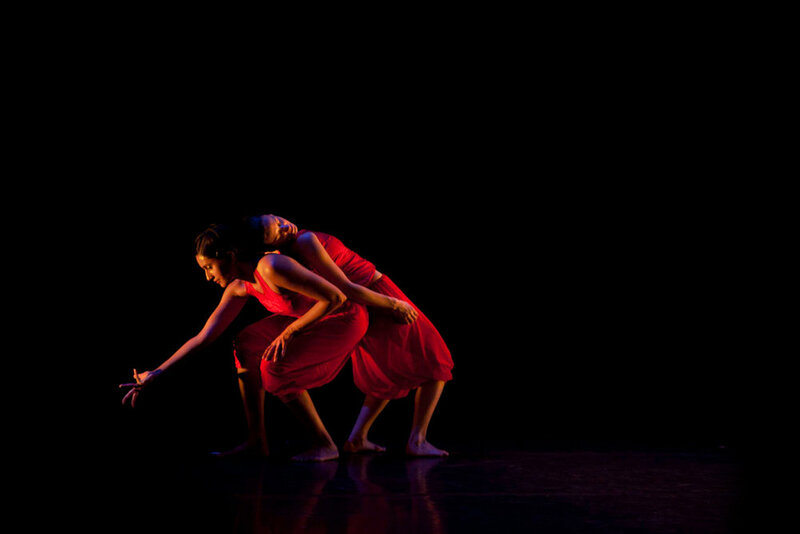 Sadhana Dance combine movement, music and spoken word in an interdisciplinary performance to explore the scientific and emotional reasoning behind why we shiver. Inspired by an original idea by Lemn Sissay this performance makes the body tingle. The Shiver was a collaboration with audio visual artists Kathy Hinde and Matthew Olden, lighting designer Aideen Malone, dramaturg Chris Fogg and costume designer Kate Rigby. It was developed with the Oxford University neuroscientist Professor Morten Kringelbach to explore the physiological link between the body, thermoregulation and the dual nature of shivering. Co-commissioned by Brewery Arts Centre, Kendal & Wycombe Swan, High Wycombe with support from the South East Dance Associate Artist Programme a two year project to support four artists whose work reflects the creative and cultural diversity of dance in the south-east. Brewery Arts Centre, Kendal & Wycombe Swan, High Wycombe with support from the South East Dance Associate Artist Programme a two year project to support four artists whose work reflects the creative and cultural diversity of dance in the south-east.